Take advantage of desktop processing speed to track your whole portfolio and individual pictures across time. Statistically speaking. 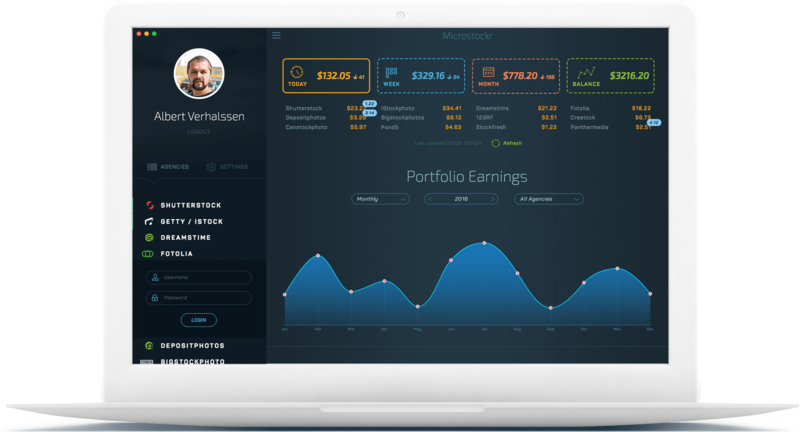 A mobile and desktop app meant to help stock photographers track their earnings across multiple agencies, the easy way.